Left and Write: T is for : The Twilight Zone!! T is for : The Twilight Zone!! In my opinion, one of the greatest anthology series, of all time, was The Twilight Zone. Created, hosted, and narrated by the chain smoking Rod Serling, The Twilight Zone ran on CBS from 1959 to 1964. With a penchant for "twist endings", Twilight Zone was a show that could not only make you think, but could also make you question what you thought, as well. Serling was a script writer who was way ahead of his time in not only writing, but in social commentary. Many episodes were allegorical and reflective of the turbulent time in which they were made. alone and read his books. Being a bank teller, he would go down to the vault on his lunch hour and read....until one day he hears an explosion as he sits in the vault. He goes back upstairs to find the's the last man on earth due to a large, nuclear, proliferation.....and, strangely enough, that makes him very happy. Now, he'll have time to read his books with no interruptions. As he's cataloging all his new found books he drops his glasses and they break. The show ends with him kneeling in the middle of a pile of books, sobbing, with his broken glasses in hand. Not only was The Twilight Zone a favorite show of mine, but it was very influential in my writing. There's nothing I love more than a "twist" ending or something that makes the reader think "Wow, didn't see that coming." I always (well, almost always) enjoy a show that makes me think and The Twilight Zone did just that without being too "preachy" or "cerebral". The next time you see that signpost up ahead that tell you you're coming up to the Twilight Zone.....do yourself a favor and stop on by.....you just may learn something. As long as you're not trying to out twist yourself like Shyamalan. Unless tomorrow is something ultra, I have no idea. I watched those reruns lots of time. They really scared me when I was little. I am a huge fan of The Twilight Zone. There is one episode I saw like 30 years ago that haunts me to this day! It freaked me out so bad. Loved it. I'm so excited you wrote about this one, because I've started at the very beginning and am watching all the episodes I can find on Netflix! I've just gotten to the second season. How fun that you chose this one that I'm so into right now! I watched T J only a few times and Three's Company a lot. Never saw the Time Tunnel. Sounds interesting. Thanks for the smile today Mark! So excited forgot to mention that the writing on this show is very inspiring. Serling was so succinct, so direct and to the point, and he always had a very good point to make. I love this show! Another of my favorites. I too love endings with a twist. Mark I am SO happy you brought this one up. My family and I ALWAYS watched Twilight Zone marathons on New Years when I was growing up. Of all the olden day shows, this one stays closest to my heart for that reason. That is still on the radio..... Here, it comes on Sunday's at 4 after Roger Hitchcock. I mainly listen to Roger but once TZ starts I get hooked. 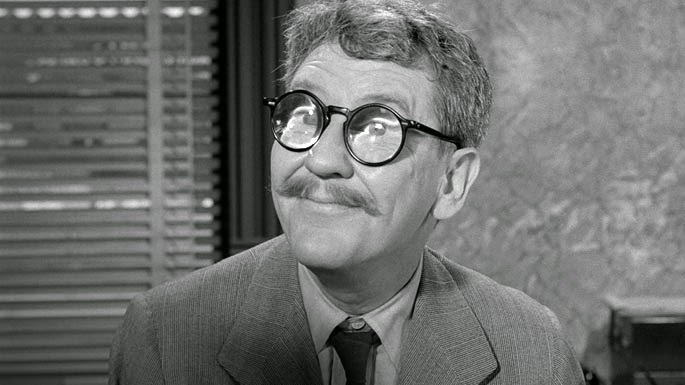 A brilliant series Mark and my favorite episodes had Burgess Meredith. This show was King of "the twist." Great choice for "T."
This show was really pivotal as a storytelling master class for me. The ride at Disneyland is pretty darn cool, especially at night. I am so JAZZED you game Time Tunnel a mention. I never missed it. Great show.